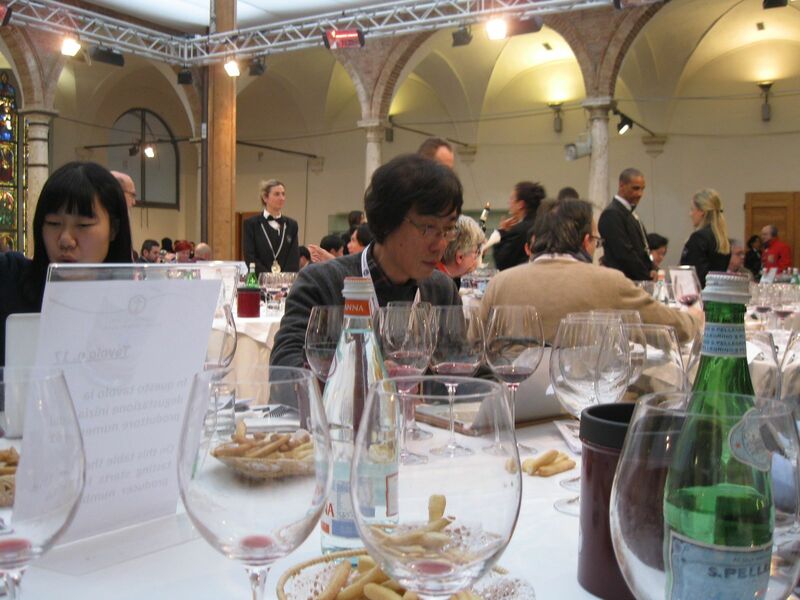 This is a post about a memorable experience that I had last year right around this time when I was lucky enough to attend the Benvenuto Brunello tasting in Montalcino. The event held by the Consorzio is a huge draw for journalists. 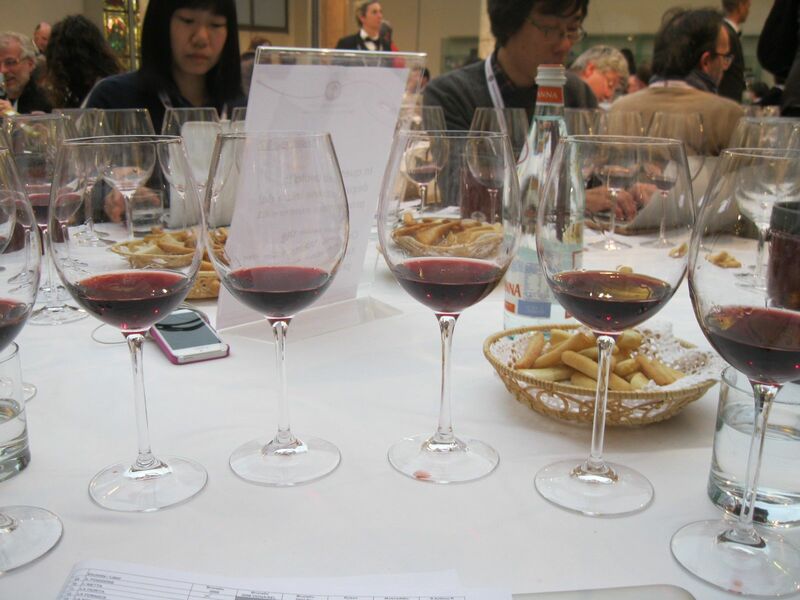 While the 2014 edition has already come and gone as well, I never had the chance to write up my impressions of the 2013 event, one of the most significant wine tastings I have ever attended. I have been numerous times to the Benvenuto Brunello event in New York as well at Gotham Hall, which has also come and gone. This year I worked at the show with a producer that I represent at the tasting on January 27. Despite all of that and friendships with many Brunello producers, I was not prepared for the marvelous experience that this Anteprima turned out to be. You are seated at a round table with about 6 – 8 other people. You have a dedicated Italian sommelier from the Associazione Italiana Sommelier to assist you and you are able to easily taste 150-200 Brunellos in one seating. Additionally you are in the gorgeous Chiostro or Cloister of the Museo di Montalcino. In fact, if you need to use the facilities at any point, you walk past incredible 12th, 13th and 14th century art and are basically alone in the museum. Clearly there is a lot of hidden security but you do feel as if you could maybe walk away with some small item (JOKE). Then you go back to your table and realize that you and the other lucky participants are alone with 200+ beautiful Brunellos. Last year we were tasting the Brunello di Montalcino 2008, Brunello di Montalcino 2007 Riserva, Rosso di Montalcino 2011, Moscadello di Montalcino and Sant’Antimo vintages. Rather than write up my notes from the event, I thought I would link to the late Kyle Phillips’ notes. I only met Kyle a few times but he was a real “personaggio” in the Italian wine world and a great journalist. His About.com writings on food and wine are also fabulous. His were the some of the first wine writings that I read when I lived in Italy in the 1990s and 2000s and began my formal study of Italian wine in wine school in 1997. I still have the printed copies of many of his Italian Wine Reviews. For some notes on the 2009 vintage, here’s my friend Eric Guido of the V.I.P. Table’s post. I trust Eric and am familiar with what he likes and doesn’t. While not always perfectly in line with mine preferences, I think there are a lot of similarities. I’m always in a quandary about whether or not to write about wines that I represent. Since September I have been working with a Brunello producer. I know other people don’t feel the same way about this topic that I do but I can see why someone would think there is a conflict of interest there so I will refrain from making my own comments on these wines at this time but most certainly not from drinking these exquisite wines. 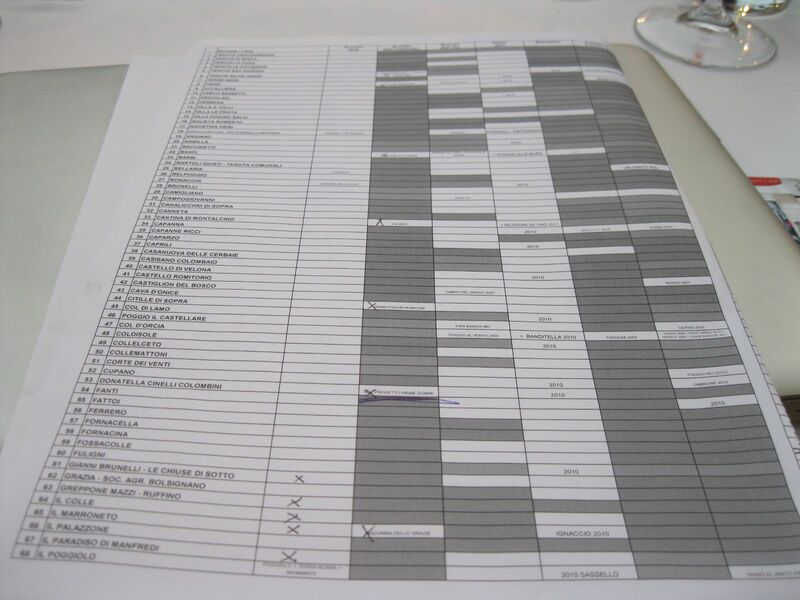 In fact, all of the wines mentioned on this blog are not wines I represent at the time of writing about them, just FYI. While today’s event won’t be as thrilling as the one that I attended in Italy a few years ago, I am looking forward to tasting some great Brunello today in New York and to seeing good friends.